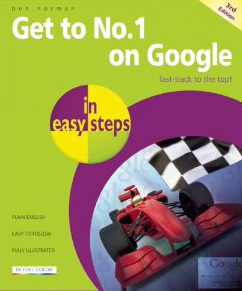 If you have a web site one thing you would no doubt love to do is what this book promises: Get to No.1 on Google. But how exactly do you do it and what exactly does it mean to “get to number one” anyway? This book takes you through the process of identifying what you want to achieve from Google searches (for example, which words in a search you would like to lead people to your site) and then finding ways of optimising your site to accomplish that. 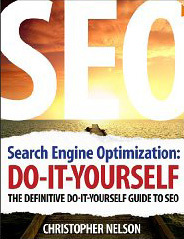 If you have never given any thought to search-engine optimisation (SEO), the book will be invaluable to you. If, on the other hand, you have studied the subject to some extent you may already be familiar with many of the tips and tricks described: using keywords, choosing a domain name, using header and meta tags, giving Google-friendly names to specific web pages and so on. In fact, this book goes into these and other topics in more detail than most SEO-amateurs (like me) are likely to be familiar with. Moreover, it also provides advice on additional tools you can use to optimise and analyse your web site. It explains how to submit a site to Google, create a site map, the different types of links you can use and how they affect Google’s ranking and how to make the best use of press releases and Google AdWords. Whether all this effort will ultimately result in your achieving a Number One ranking for your web site is debatable. Maybe for some search words some of the time you will. But given the huge number of competing web sites, it’s obviously impossible for all web sites to achieve this goal all of the time. Realistically, the best you can hope for is to make your site rise towards the top of relevant search results rather than sink towards the bottom. Tips, tricks, and little-known methods used by professional SEO consultants to rank in some of the most competitive search phrases Search engine optimization (SEO) is the process of creating, formatting and promoting web pages in a manner that ensures that they are ranked highly for chosen keyword phrases after a user performs a Web search. This unique book taps the relatively unknown market of advanced SEO knowledge, and reveals secrets used by only the best SEO consultants. You'll take your Internet marketing skills to the next level as you gain a thorough understanding of standard SEO techniques such as on-page optimization, off-page optimization, and link building. Packed with real-world examples, this essential guide demonstrates how real SEO consultants work with Fortune 500 companies to get the results they desire. Explains the basics of search engine optimization (SEO) and how it enables a specific site to rank high in a Web search based on particular keyword phrases Shares little-known tricks and tips of SEO consultants that work with Fortune 500 companies Demonstrates how to perform a professional SEO Web site audit Reveals the techniques that current SEO leaders use to remain high in rankings Divulges secrets for spying on your competitors' ranking techniques As the only book focused on the subject of SEO consulting, this must-have resource unveils secret tricks of the trade. Maybe you're a great programmer or IT professional, but marketing isn't your thing. Or perhaps you're a tech-savvy search engine marketer who wants a peek under the hood of a search engine optimized web site. Search engine marketing is a field where technology and marketing are both critical and interdependent, because small changes in the implementation of a web site can make you or break you in search engine rankings. Furthermore, the fusion of technology and marketing know-how can create web site features that attract more visitors. 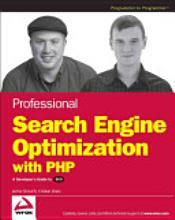 The mission of this book is to help web developers create web sites that rank well with the major search engines, and to teach search engine marketers how to use technology to their advantage. We assert that neither marketing nor IT can exist in a vacuum, and it is essential that they not see themselves as opposing forces in an organization. They must work together. This book aims to educate both sides in that regard. Author Christopher Nelson is an SEO expert with vast experience in the field, having successfully optimized literally thousands of websites. 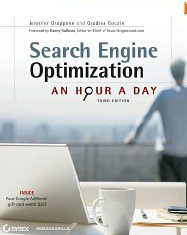 In this book, he not only shares his knowledge, but also the wisdom he's gained from dealing with the quirks and changes within the search engines over time. 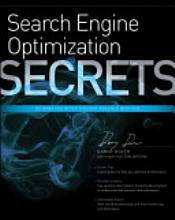 After reading this book, you will understand SEO and search engines in a brand new light. The knowledge that this author presents is as easy to understand as it is informative and surprisingly fun to read. Through this incredibly accessible guide, Christopher Nelson has succeeded in transferring his knowledge (and wisdom) of search engine optimizing to the reader. The only SEO guide you’ll ever need is right here. In short, it will help you to understand everything you need to know about SEO. • The most effective information on how to get started immediately. • Access to an interactive FAQ on the web that allows you to ask questions and get answers directly from the author. • Simple explanations of how the search engines *actually* work. • Images, links, and screen shots to help you know exactly what to look for. • Complete and thorough explanations of the Top Three SEO Concepts. • Walks you through the most helpful optimizations for your website. 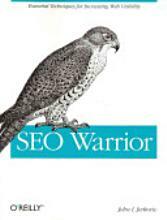 • Get the most from even the "least important" tactics of SEO. • SEO Cheat Sheet for quick, simple references on how and what to optimize. • Personal tips from the author throughout the entire guide. After reading this eBook, you’ll never again have to worry about SEO; what to know, how to do it, or what to do next.